Debut author Medeia Sharif is a serious reader. Her reading goal for 2011 is 150 books. By early June, she already reached 100! She has a great blog with lots of book recommendations and book giveaways, and I always enjoy stopping by and reading her posts. I'm honored to have Medeia at my blog, and I'm excited to share her interview with you. 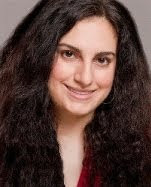 Medeia Sharif is a Kurdish-American author who was born in New York City. She presently calls Miami Beach her home. She received her master's in psychology from Florida Atlantic University. In addition to being an author, Medeia is a school teacher. She became a voracious reader in high school and a relentless writer in college. Her persistence paid off in 2008 when she attained agent representation, and in 2009 when she got her first book deal. Dawn: Tell us about BESTEST. RAMADAN. EVER. Medeia: Fifteen-year-old Almira Abdul is fasting for Ramadan for the first time ever, but the month does not move smoothly at all. She has her first major crush, treads on her best friend's toes, butts heads with a new archenemy, and has a strict old-world grandfather who drives her crazy. There's a disparity between what she desires and how she was raised, but she wants to be an all-American girl. Dawn: What inspired the story? Medeia: Almira inspired me. The main character popped into my head and I wanted to write her story. Dawn: You work full-time as a teacher, you're a novelist, and you read more books than anyone I can think of. How do you do it? What does a typical writing day look like? Medeia: I've been asked that before, and I don't know how to describe a typical day. I have no set sleeping pattern. Sometimes I sleep at night like most people do, and other times I fall asleep in the afternoon to wake up at midnight. I prefer to write early in the morning or late at night, so I try to accommodate my writing preferences. As for the reading I do, I don't do most of it at home. Some books I read for work. And it would come as a surprise how much reading one can do at the laundromat, in waiting rooms, on plane rides, and other places. I read many books on my phone. Those apps have quadrupled my reading. Dawn: What grade or grades do you teach? Medeia: I'm certified to teach 6 to 12, and I've taught all those grades. Right now I'm in a high school setting. Dawn: How did your students react when they learned about your book deal? Medeia: I do my best to keep my day job separate from my writing life. I don't want to advertise at my workplace, and sometimes people ask too many questions when they find out I write. Honestly, I never announced my deal to my students. My students found out about my writing when they Googled me. Some of them asked me what Flux was and if I was famous (I told them "sort of"). Also, some of them wanted an autographed copy. Dawn: How much do you outline before you start writing your first draft? Medeia: I've outlined for many years, but with the past few wips my outlines have become even more detailed. Getting stuck at a new plot point while drafting is an uncomfortable feeling, but an outline provides direction. Dawn: What author has most influenced you? Medeia: I have to go with V.C. Andrews. I became hooked on her serial novels in middle school, which led me toward a path of bookwormhood and writing. Dawn: Do you have any advice for unagented, unpublished writers? Medeia: Be persistent and never stop writing. If a manuscript doesn't work out and has been rejected at a gazillion places, work on the next one (BRE isn't the first novel I've written). Also, don't write in a bubble, typing all those manuscripts without input from the outside world. I've only been participating in critique groups and conferences in the past few years, and I wish I had discovered these resources earlier. Dawn: Thank you so much, Medeia! It's super interesting to learn more about you. I love your advice--very inspiring! 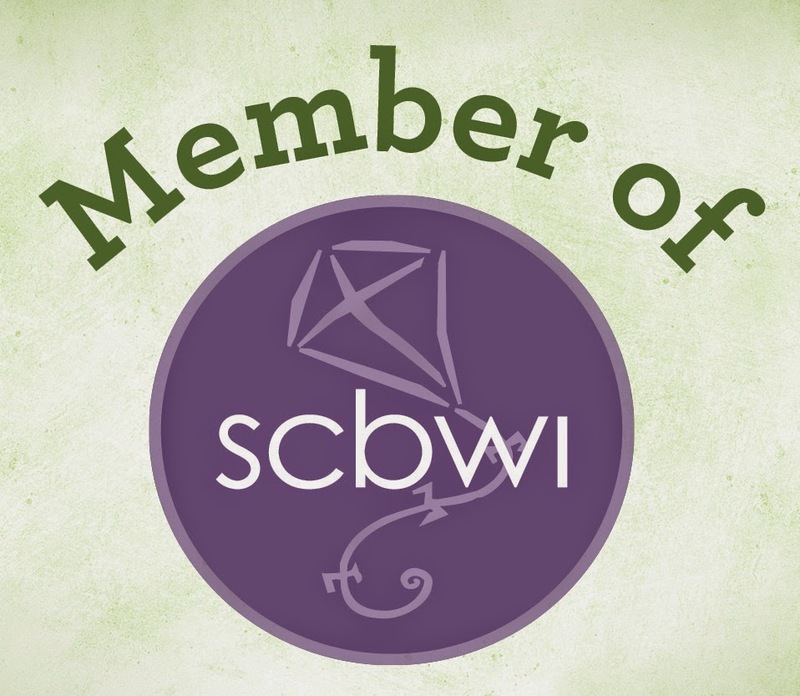 I hope to meet you in person at the SCBWI Summer Conference in L.A.! 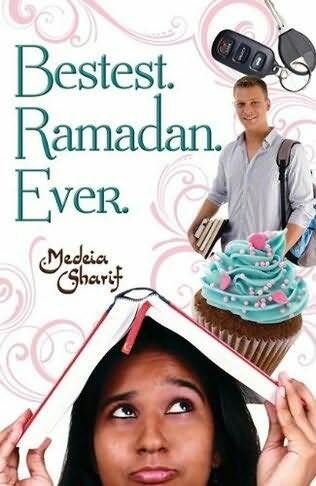 In the meantime, I can't wait to read BESTEST. RAMADAN. EVER. Now for the giveaway! BESTEST. RAMADAN. EVER. will be available July 8th, and I'll send a copy to the winner A.S.A.P. Hot off the press, bloggy friends! My parents are my heroes. Hard working, generous, optimistic, fun to be around--they're amazing. They raised my brothers and me with kindness, humor, and respect. Because of them, I've felt loved every day of my life. Today, Father's Day, I'd like you to meet my dad, Richard Simon. 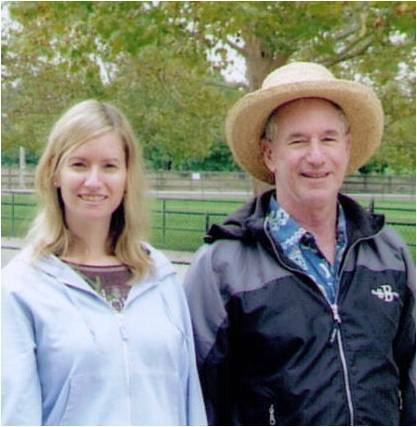 Here we are together in 2006. My dad taught me to swim when I was small, to duck waves taller than my head, and to snorkel. I remember holding hands with him in a kiddie pool, comparing my tiny knees and feet to his large ones. While he's only a few inches taller than me now, he'll always be a giant in my heart. Since my mom, a nurse, stayed home with us, she was the one in the trenches with the day-to-day kid stuff. That made my dad like a celebrity. Birthdays were a big deal because he would take the birthday child to a movie or on some other special outing, and--best part--nobody else was allowed to come! One year I picked Bambi for my birthday trip, and we cried together. I still remember walking to the car after the movie, both of us wiping away tears. When I turned eleven, he took me horseback riding. I loved all things horses, and I thought he was like a cowboy when he was on a horse. This was around the time I got into the Black Stallion books by Walter Farley. My dad was super over-protective. Example: he interviewed my first date. Seriously. I wasn't happy about it. At all. I was fifteen at the time. I remember how awkward it was when the poor kid came to pick me up. The date fell on the same night my dad, a doctor, was having some friends over to play cards. My pediatrician was there. Yes, it was a night to remember. My dad is hilarious, and he was considered cool by my high school friends. He's still cool. He was in the waiting room at the hospital when my daughter, his first grandchild, was born. He and my mom brought my husband and me a ten-pound box of chocolates, and they marveled at our daughter, who weighed less than the candy. Now he has six grandchildren, and each one loves him. My dad is a great man, and he has always believed in me and my dreams. I can talk with him about anything. We can even laugh about my first date. Happy Father's Day to my dad, my husband, and all the other dads out there! *PW had an interesting article with children's book news from BEA 2011. Ooh, so many great books, bloggy friends! Lots to look forward to! *Have you heard about Unbridled's 25 books for 25 cents? While it only runs from June 9th - June 11th, you can show your indie love anytime by purchasing your e-books from an independent bookstore. *There's been a lively debate about YA this week that began with a Wall Street Journal article. Read about it here in the PW article "Are Teen Novels Dark and Depraved--or Saving Lives?" That's it from me this week! In the comments, how about if you share what you're currently reading? That's always fun!